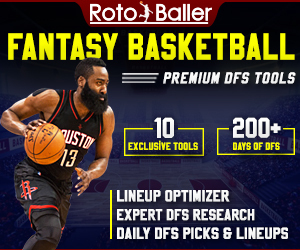 Welcome to the NBA DFS season. I certainly happen to be biased as it is my column day, but Wednesday is an excellent day to dip your toe in the water - or just dive right in - since there is almost always a bevy of games to chose your players from. Tonight is no different, and we have an exciting 10 game slate, which tips off at 7:00 EST. 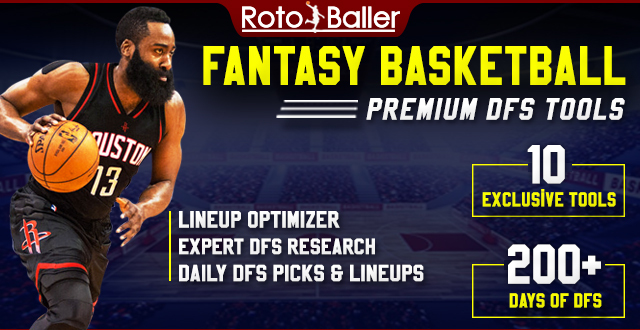 In this article, I will be providing you with my daily fantasy NBA lineup picks for FanDuel on 10/26/16. 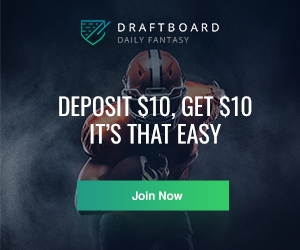 The DFS lineup picks will range from some of the elite players, to mid-priced options, and value plays on FanDuel. 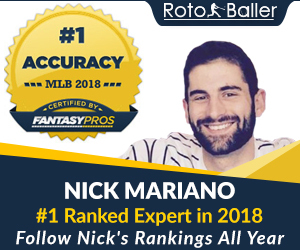 Since there aren't any statistics from 2016 to base my roster building decision making on, tonight I'll rely on Vegas more heavily to help me determine which games might be worth targeting. If stacking is your sort of thing, there are three games that stick out as excellent targets, since they have a high over/under - meaning Vegas "predicts" the matchup to be a high-scoring affair. Those games are the Nets at Celtics (211.5), the Kings at Suns (212), and the highest of them all, which is the Rockets at Lakers (223). Although it's not quite as high as the Houston-Los Angeles line, the Kings at Suns looks like an interesting stack target as the spread of that game is just two points. My favorite point guard play of the evening also happens to be a value play. Towards the end of the season, we saw Russell's minutes and usage skyrocket, and he started to resemble - at least slightly - the second overall draft pick that he was in 2015. Now, projections can be a little tough since we're just looking at small batch statistics right now, but in addition to his cheap price, I love that he projects for over 30 minutes of playing time on the court and has a usage projection over 27%. It's also a nice matchup considering the Rockets backcourt doesn't play much defense and the game should be played at a fast pace - meaning there will be lots of offensive possessions for both teams. On a night with so much uncertainty, I like Batum for both his price and his floor. He has the ability to - and does - so many things for this Hornets team that he's able to rack up fantasy points even when his shots aren't falling. He faces a Milwaukee team that allowed several points above the average to opposing two guards last season, and he's certainly a matchup problem. Helping to keep Batum's floor high is his versatility and the fact that he'll be on the floor for 32-35 minutes with a usage projection slightly over 20%. Orlando Magic brass must have seen a lot of things they loved in Gordon last season as his minutes, production and shot attempts all received major boosts towards the end of the 2015-16 season - and that was before they made a major trade with Oklahoma City. Tonight, Gordon projects to play more than 30 minutes, with a fairly high usage rate among small forwards and finished last season with a PER above 17. Miami is typically a stalwart defensively, but this isn't the same team we've seen in the past and Hassan Whiteside can't cover the versatile, quicker Gordon when he's outside the paint. The pick carries a little risk (as so many do this evening), but I think he has an excellent chance to cruise past his price implied value. I highly doubt I am alone in thinking Jokic could have a big season. He has a lot of potential, and he just might have the pieces around him - and the right fit on offense - to finally realize that potential. Towards the end of last season, we saw a healthy Jokic become a focal point of the Nuggets' offense, and I think that trend will continue into the 2016-17 season. In the last week of the prior season, he was consistently getting double-digit shot attempts and pulling down double-digit rebounds. I think his price tonight is a bit of a steal and with a playing projection just shy of 30 minutes, I think he can hit and cruise past his price implied total. The matchup looks strong, too, as New Orleans had a difficult time slowing down opposing power forwards last season. Pricey? Certainly. But he's also probably one of the safer opening night bets in that there's no doubt he's going to be involved on both sides of the ball, and the involvement means opportunity. Opportunity is, dare I say it, everything in NBA DFS. Cousins and his Kings teammates will have plenty of offensive possessions, as Vegas projects this to not only be one of the tightest, but also high scoring, affairs. Cousins projects for roughly 26 minutes with a strong usage rate hovering around 22%. I expect him to produce a healthy FanDuel point total this evening.